This week the team from Bluegrass Horse Feeds will travel to Kentucky for a Kentucky Equine Research conference which is themed around 30 years of progress in equine health and nutrition. Eleanor McGillie speaks to the team about what the conference is all about. A TEAM from Tyrone based Bluegrass Horse Feeds will be travelling to Blue Grass Kentucky at the end of the month to join industry experts from around the world for a conference which will be hosted by Kentucky Equine Research (KER) - an international equine nutrition, research and consultation company. On October 28 and 29, as part of its 30 year anniversary celebrations, KER is hosting the conference which is themed around 30 years of progress in equine health and nutrition. Over the two days the team from Eglish in Co Tyrone will hear from expert speakers covering topics on muscle disease, joint health, metabolic syndrome, colic, gastric health and much more. Kenneth Irwin, MD of Bluegrass Horse Feeds, which is Ireland's Official Team Member, says the trip will be of great benefit to his team travelling out there and all science based knowledge and research will be brought back to the mill at Eglish. Speaking ahead of the trip, Mr Irwin said: "Bluegrass Horse Feeds became Ireland's Official Team Member in 2002. Every horse feed product within the Bluegrass Horse Feeds range has been fortified and formulated by the expert nutritionists team at KER. Owners can be assured that every product has been specifically designed to suite their horses’ requirements, with some products, such as Re-Leve, undergoing studies to provide evidence of the benefits from this product. 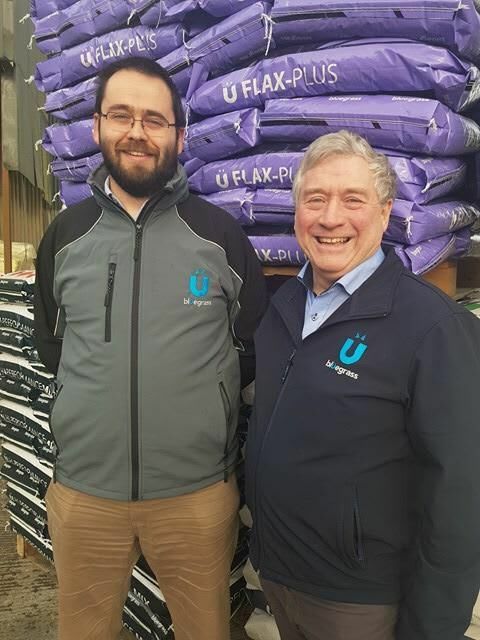 "The conference is a fantastic opportunity for our manager Graeme Cather and our sales and marketing co-ordinator Ashley Neely to meet with the experts from this international equine nutrition, research and consultation company serving horse owners and the feed industry. "This trip will give our team a wealth of new knowledge on equine nutrition and health for them to translate back to our customers in Ireland and the UK and also in the production of our products at our mill in Eglish. This is KER's 30th anniversary and it's a great thing for us to do as we continue to celebrate the 20th anniversary of Bluegrass Horse Feeds." Dr Pagan formed KER in 1988 to be an international research, consulting and product research firm dealing with areas of equine nutrition and sports medicine. Since then KER has became the world leaders in equine nutrition, working with feed manufactures and regulatory bodies including the World Equestrian Games 2010, previous Olympic Games and including last month, as the official equine nutritionist for the FEI World Equestrian Games, Tryon. The trip starts for the Bluegrass Horse Feeds team on Sunday, October 28 where they will be visiting the Kentucky Horse Park followed by a tour around the 150-acre KER research farm. On Wednesday, October 31, the Bluegrass team will tour around the thoroughbred farms.